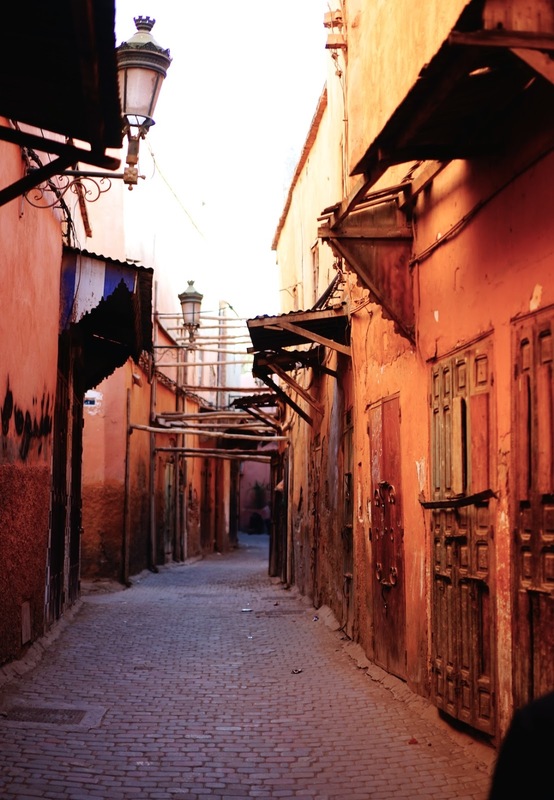 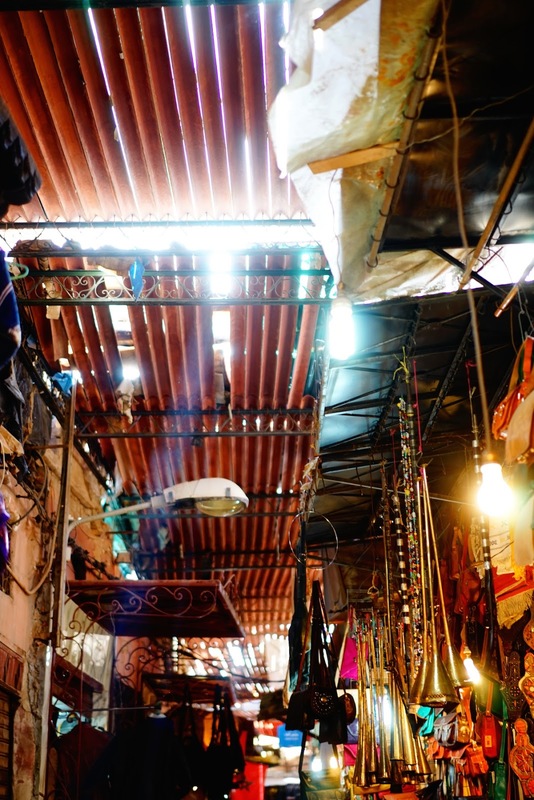 Marrakech’s maze-like walled city has to be seen to be believed. 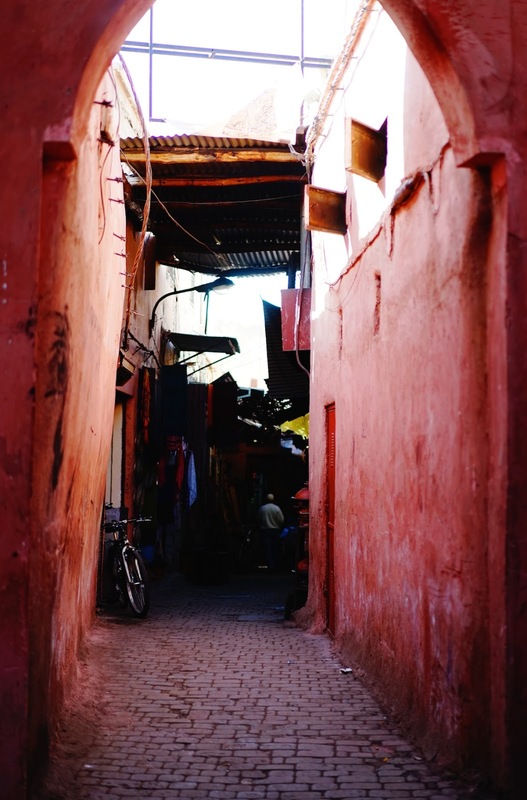 We spent the day wandering the winding streets and alleyways, with a local guide helping us to uncover the hidden gems amongst the hustle and bustle. 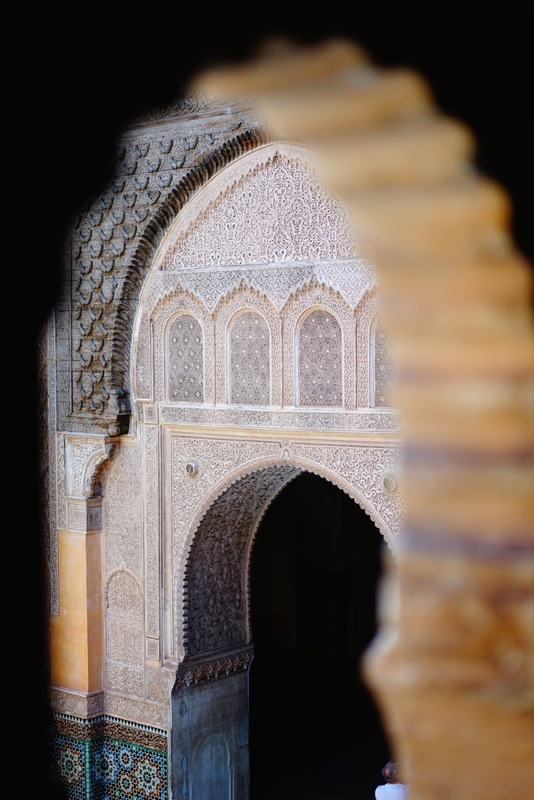 Mustafa first showed us around the beautifully decorative Ben Youssef Medersa, a Quranic school, dedicated to the teaching of Islamic scripture and law, which was founded in the 14th century. 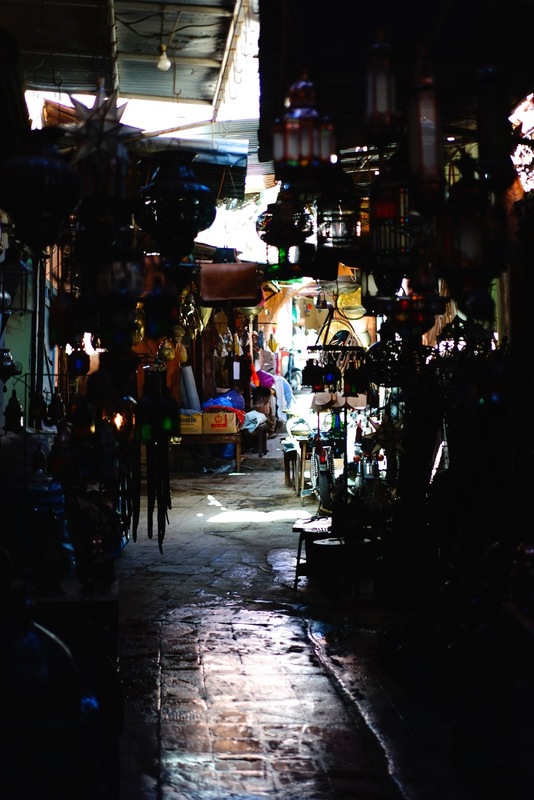 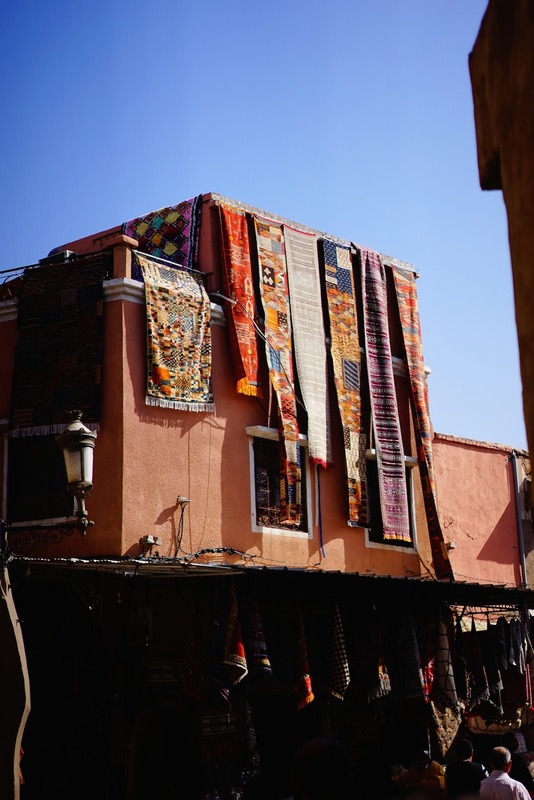 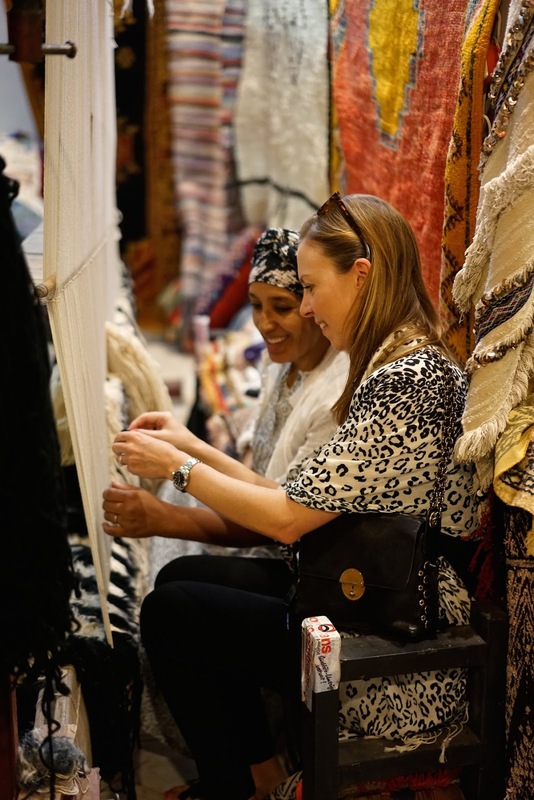 Continuing the tour, we passed the blacksmith quarter and goat leather auction, and stopped by a herbal pharmacy to pick up aromatic spices and bottles of magic argan oil, before trying our hand at carpet making in a traditional rug emporium. 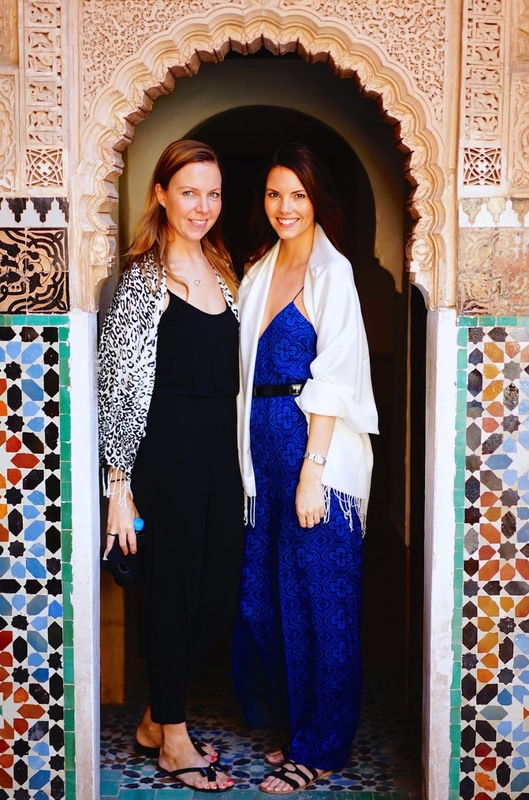 We kept cool from the heat in breezy jumpsuits from The Jetset Diaries and Amanda Wakeley, and for a little sustenance, we popped into Royal Mansour for afternoon tea. 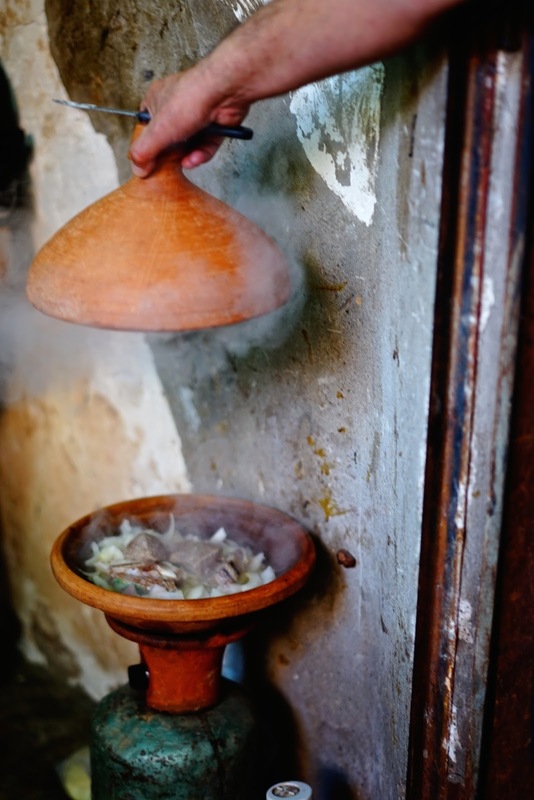 No trip to Marrakech is complete without a visit to a local hammam. 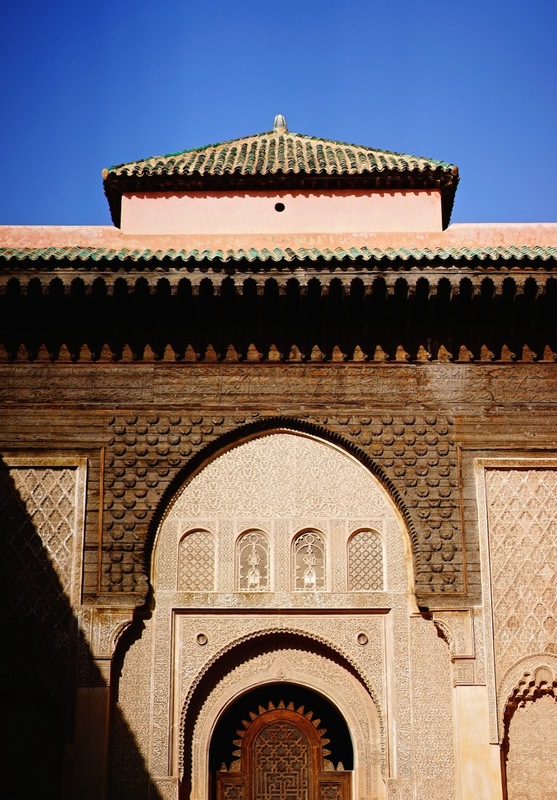 We opted for Heritage Spa, which offers private hammams and full body massages, for the ultimate in relaxation. 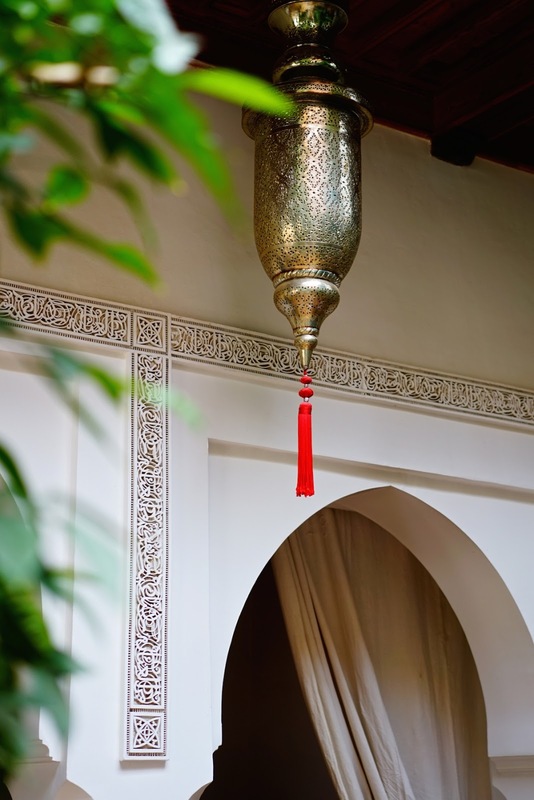 We selected our massage oils whilst sipping on sweet mint tea, before being led to the heated marble steam room. 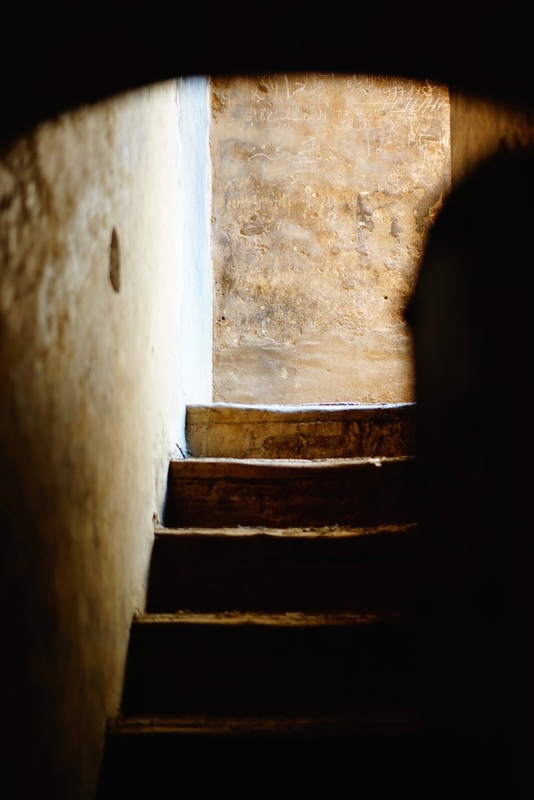 As a first timer, I can definitely confirm that this invigorating spa treatment is not for the faint hearted… but stripping down to tiny paper pants, and being lathered, scrubbed and hosed down with water, is certainly an experience I won’t forget in a hurry!